Barbarea, Upland Cress or Wintercress is a hardy perennial member of the Mustard family (Cruciferae). 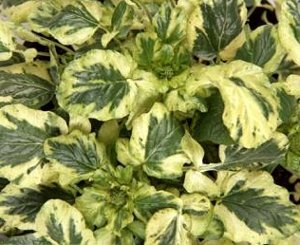 Used as a winter salad green, it also has appeal as a bedding plant. The leaves are slightly rounded and borne from a basal center. Stems are topped with yellow blooms in the spring.